Joke Bear returns with this adorable new sticker set! You’ll bear-ly be able to contain your laughter once Joke Bear takes over your chats. Friend nagano’s official account to get the set for free! Expiry Date : Available till October 24, 2018. 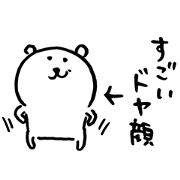 How to send LINE sticker to WhatsApp?